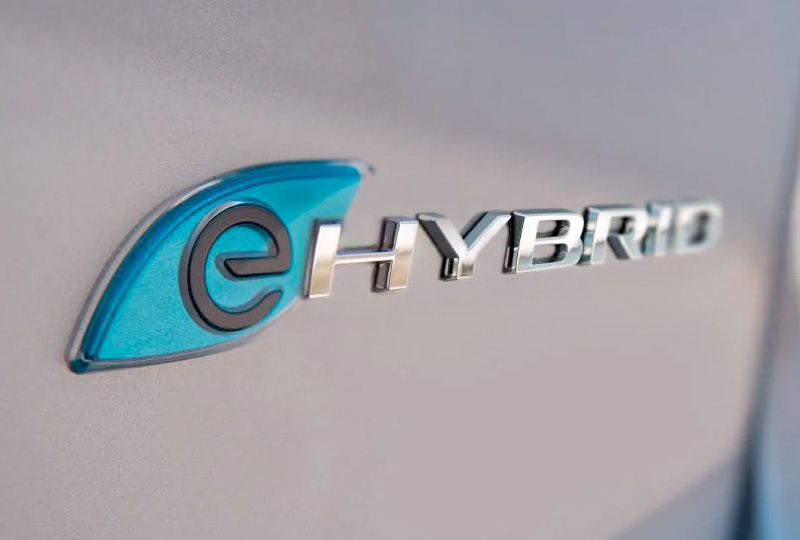 The 2019 Chrysler Pacifica Hybrid for sale at Banks Crossing Chrysler Dodge Jeep Ram in Commerce, GA - near Athens, Jefferson, and Toccoa - provides impressive power and convenience. With room for up to seven passengers, the kids and all their friends will love tagging along. Everyone can enjoy the comfort of cloth-trimmed seating surfaces and available three-zone automatic climate control, while the folks up front can use optional heated bucket seats. The Bluetooth® phone system with integrated voice commands makes it easy for you to call home directly from the road. Opt for an available Uconnect® Theater system with wireless streaming and dual 10.1-inch touchscreens so the smaller passengers in the back can stay occupied on lengthy road trips. When they aren't along for the ride, use the standard third-row fold-in-floor 60/40 bench seat to create plenty of room for any groceries or shopping you need to transport. All of this is powered by a gas and electric powertrain with a lithium-ion battery. Together, they provide a wallet-friendly 520-mile total driving range,1 while a single charge gives you up to 32 miles of electric driving.1 Be sure to get the optional 240-volt Mopar® charger so you can be fully powered at home in just two hours. Our 2019 vehicle inventory is here and we have amazing deals you have to see to believe. Take your test drive today by visiting Banks Crossing Chrysler Dodge Jeep Ram at 2377 Homer Rd, Commerce, GA 30529. Don't miss out on owning the new 2019 Chrysler Pacifica Hybrid you've always wanted! 1. EPA estimate with a fully-charged battery. Actual mileage may vary. 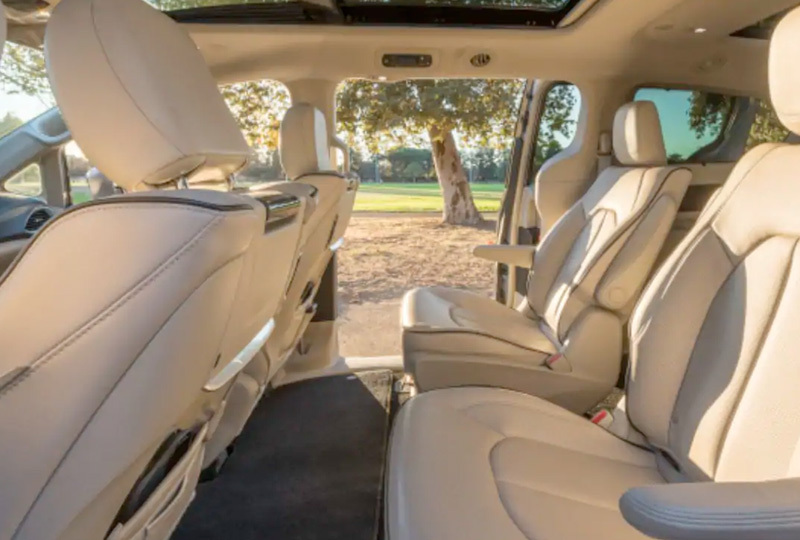 The interior of the Chrysler Pacifica Hybrid is designed to impress. 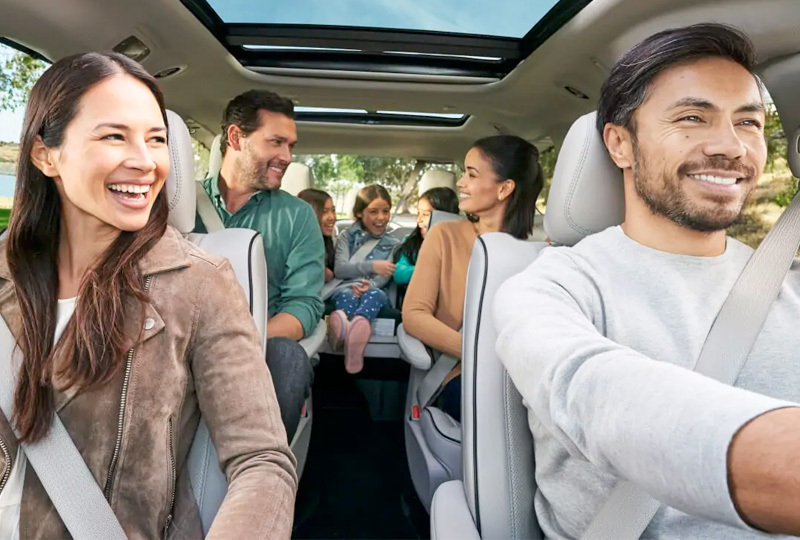 With the most innovative seating and storage in its class5 and an eco chic design, the Chrysler Pacifica Hybrid is as family friendly as it is environmentally friendly. 2. This system is a driver's convenience system, not a substitute for active driver involvement. The driver must remain aware of traffic conditions and maintain control of the vehicle. 3. Always check entire surroundings visually before proceeding. 4. This system is solely an alert system for the front of the vehicle that does not take any actions to change vehicle dynamics to avoid a collision, not a substitute for active driver involvement. The driver must remain aware of traffic conditions and be prepared to use brakes to avoid collisions. 5. Based on available features and the FCA US LLC Premium Minivan Segment.